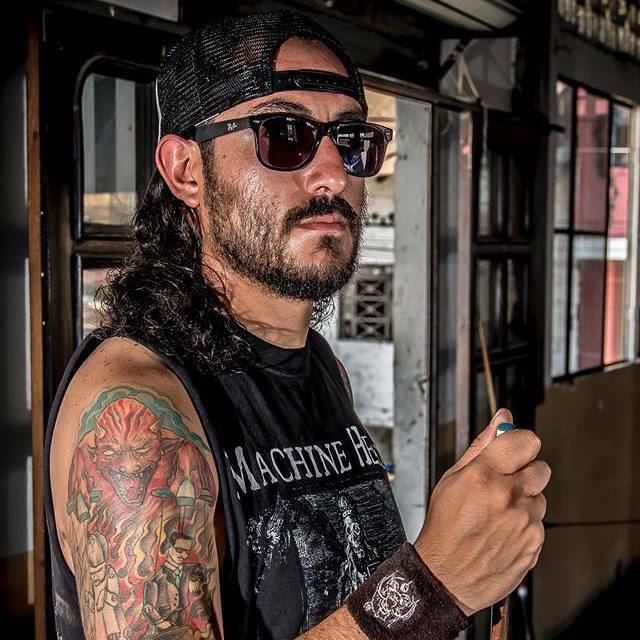 Miguel de la Cueva is an organizer, producer, promoter, and the bassist for Descomunal. He is the co-organizer of Canoafest, an annual arts and culture festival held in Canoa, Ecuador. 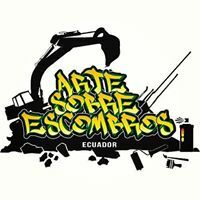 He is based in Quito and has also organized many concerts, events, and festivals throughout Ecuador and Colombia. Rodrigo Intriago, environmental engineer and tourism administrator; organizer and programmer of festivals such as Canoafest and Culturizarte; organizer of gastronomic festivals with themes of identity; cultural coordinator in the Academy of Manabí Gastronomy for the revaluation of Manabíta patrimonial cooking and cuisine; member of the Gastronomic Assessment of Manabí. Rodrigo has worked extensively in issues of social assistance for under resourced children in Manabí and areas affected by the earthquake. In February of 2015, local cultural organizer, Rodrigo Intriago, met New York based artist, Kristy McCarthy, as she was painting a community mural with kids in the barriochino neighborhood of San Vicente. They shared the same vision of providing accesible art programming to San Vicente's youth, and decided to join forces to organize an annual art festival that would bring together international, national, and local artists to beautify San Vicente's underused public spaces and offer local youth an opportunity to participate. 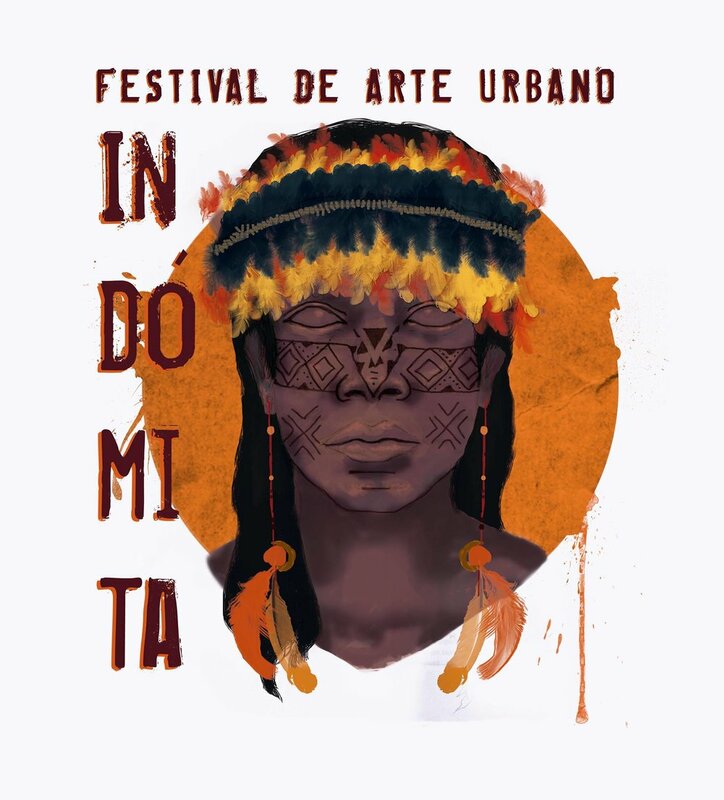 The following year, in March 2016, Kristy and three other international artists: Damaris Cruz (Puerto Rico), Danielle Mastrion (NYC), and Yazmeen Collazo (NYC) returned to San Vicente to team up with national artists Tnaz (Otavalo), Francisco Galárraga (Quito), and Lino (Quito), and local artists Angel Velasquez, Eric Espinosa, and Samuel Cevallos to decorate the local elementary school compound with brightly colored murals that honor Ecuador's diverse cultures and biodiversity. Over twenty San Vicente youth participated in the project, all or most of them current or former students of the elementary school being painted. Two weeks later, On April 16, 2016, a 7.8 magnitude earthquake struck coastal Ecuador, killing over 600 people and destroying hundreds of thousands of homes and businesses. One of the hardest hit areas was Canoa, the small beach town 10km from San Vicente, where over 80% of the town's infrastructure was destroyed, killing more people per capital than in any other affected city, crippling the local economy and leaving it's inhabitants homeless, unemployed, and traumatized. Rodrigo Intriago and Kristy McCarthy teamed up again, this time with the help of Miguel de la Cueva, co-organizer of Canoafest, to aid in Canoa's rebuilding effort by organizing another mural festival, this time with the aim of lifting the town's spirits, as well as the local economy, by creating an outdoor street art gallery to reactivate tourism, beautify stigmatized public spaces, and provide Canoans with an outlet to process their trauma, celebrate their identity, and honor their lost loved ones through art. For the community of Canoa, the flourish of activity and the beautiful murals that resulted brought the first signs of hope that tourism would return and people could get back to work and move on with their lives. And for many of Canoa's youth, who have had little exposure to street art or access to art programming, meeting professional artists from all over the world and being a part of their artistic process was incredibly inspiring and impactful. 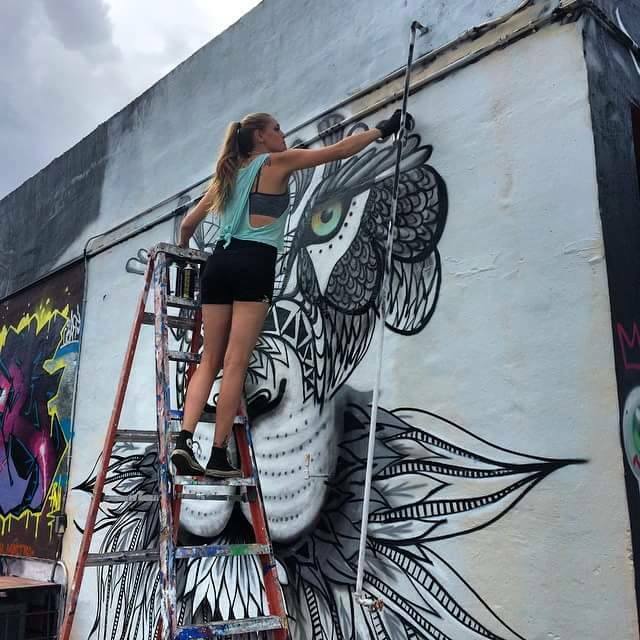 For the local artists, it was a way to earn respect from their community by playing a valuable role in the town's rebuilding process, and an opportunity to connect with and learn from talented artists from other parts of the world. And for the international artists, it was an inspiring and eye opening experience to see first-hand the healing power of their art; to build relationships with other talented artists from around the world, and to be immersed in the culture of Manabí and Ecuador. Shortly after, other communities began to request a Fiesta de Colores in their town, including Briceño, a small village 10 minutes from Canoa that had received no federal assistance after the earthquake because they were listed as being in a high-risk zone. The town self-organized to provide the artists with materials, lodging, and food, and in February 2017 the artists reunited to work together once again, creating an outdoor gallery of 25 murals in Briceño. As the movement continues, we continue to grow as a community and build upon our mission of using art as a powerful tool to bring people together, to share ideas and skills, inspire, teach, learn, and empower. Collaborating with local arts and community organizations is instrumental to each of the projects that we do. Team work makes the dream work!